I was recently interviewed by Emily Graves of Crossrhythms Radio about Welsh plans to introduce a system of presumed consent for organ donation. The following is an extract from the interview. The full transcript is available on line. Emily: Please could you start by outlining what the previous law was and the changes that have now been made in Wales? Dr Peter Saunders: The current law throughout the whole of the United Kingdom is what we call an opt-in system. If you carry an organ donor card, or if, after your death, your relatives are happy to give permission for your organs to be taken, then that can take place and organs from one person can help up to nine people through transplants. That’s the current system: opt-in. What Wales has voted in, is an opt-out system, which means that it would be assumed that you would be an organ donor unless you specifically asked not to be beforehand. It relies on people to take the step to say no, otherwise the organs will be taken and the family can be overruled on that whole process. Emily: Do you know why this law was looked at in Wales? Dr Peter Saunders: It’s all aimed at increasing the number of organ donors that there are because there are thousands of people on the waiting lists throughout the UK, who want organs. They are always asking questions of how the need can be better met and this was an attempt to improve that. The law doesn’t come into force until 2015 so there’s some time now to put regulations together under which it will operate. Emily: Does the bill therefore presume that children’s organs will be donated the same as adults? Dr Peter Saunders: No, it applies only to adults, so you’ve got to be 18 or over in order to have organs taken under this bill. Emily: At the Christian Medical Fellowship what is your viewpoint on organ donation? Dr Peter Saunders: We think in general terms that organ donation is a very good thing and that people should be encouraged to sign up as organ donors, because a transplant of an organ can be absolutely life-changing for a person and as I’ve said one person can help donate organs to nine different people because of the whole variety of tissues that can be used in organ transplant. I think it’s in line with making sacrifices and loving others; it resonates very much with Christian values. But we feel that organ donation should be very much a voluntary thing in the form of a gift and that organs should be given and not taken and not presumed to be available and that the rights and interests of family should really be paramount at the time, because almost every situation where organs are taken it’s a case of sudden death, often in an accident and often of a young person. The family are going through incredible psychological and spiritual trauma at the time and the thing needs to be very, very delicately handled. We’re not in favour of this kind of hard opt-out system that’s been proposed in Wales. Emily: How is this bill significant for Wales? Dr Peter Saunders: It makes Wales the first country in the UK to do it. There are some countries abroad that have this system already and that’s important because other parts of the UK will be looking at how it works in Wales and asking the question about whether they should be implementing it themselves. In terms of numbers, the advocates say it will give about 15 more donors a year; given that the average is that one person could supply up to nine organs, the average is about three, so we’re looking at about 45 people being helped, they argue. But there’s a lot of controversy about whether it will actually increase the numbers or whether it would be counterproductive. Emily: So it will be a little bit of trial and error as they go along? Dr Peter Saunders: Yes. We don’t think there’s any real evidence that it works to increase the number of organs available and because of these ethical concerns we have about it we don’t feel we should be going down this route. There are some countries, they claim, where it has helped to, or has been associated with, an increase. But there have been other countries – Chile is one example – where they introduced presumed consent and the number of donations actually went down. We think there are better ways of doing it and back in 2008 the organ donation task force that looks at these issues made a number of recommendations throughout the UK, which didn’t include presumed consent at all, but which have led to a huge increase in organ donation. Since 2008 we’ve had a 50% increase in organ donations throughout the UK through other means and in Scotland and Northern Ireland figures were 74% and 82% respectively. The main thing that seems to make a difference is the appointment and training of specialist nurses who can spend time with the bereaved family, really sensitively explore the thing, talk them through all the steps involved, make sure that there’s no element of coercion and that it really is a voluntary choice. Then also what’s really important is to feed back news about the people who’ve been able to be helped because that can really help a family to be able to cope with a death. We think the whole thing should be done relationally in the context of discussion and that it shouldn’t be a decision made behind closed doors where the family can be overruled. The family has to be very much at the centre of things. If we put them in a situation where they feel they’ve lost control and that their loved one’s been raided for organs before they’ve had a chance to think through it, it could really damage and undermine trust, so we think relationship, donation and gift have to be right at the heart of this and these are strong Christian principles. Emily: Why is trust so important in this? Dr Peter Saunders: If people feel that there is an undermining of trust: that decisions are being made by powerful people into which they have no input whatsoever and that they’re on a kind of conveyor belt where they haven’t had a chance to be able to think through things, it can undermine trust and that leads to fear and anxiety. It can lead to bad consequences for the family because of that and also, more widely, distrust so people hearing about it will perhaps opt out of organ transplant when they might have been quite happy to opt in if it had been better handled in the past. I want to underline again the fact that organ donation virtually always takes place in the context of sudden death when people are hugely traumatised and that’s why it needs to be so carefully handled. Emily: Wales is the first country in the UK to go ahead and do this. Do you think that it encourages England and Scotland to watch what happens and bring a similar bill in England and Scotland? Dr Peter Saunders: There are consultations that are either underway or about to be underway in other places. Just recently Scotland has said that they want to see how the thing works in Wales first before they embark upon it, so that would mean a few more years, but there is pressure being put on by groups like the British Medical Association who are very keen about this new approach. As I’ve said we take a very different view from them, so yes there are anxieties that this might be the thin edge of the wedge; that Wales is a soft way in and that it might be a ploy to get the other parts of the United Kingdom to agree to it without properly thinking through the issues. It will no doubt influence the situation elsewhere and of course if it doesn’t work in terms of providing more organs then the other parts of the United Kingdom will be more resolute in wanting to go in the opposite direction. 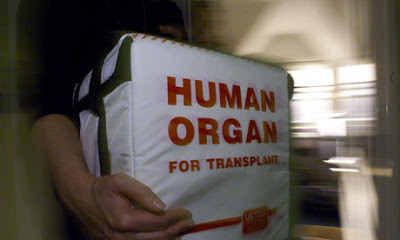 The CMF submission on the Welsh Organ Transplant Bill can be viewed here.